After World War II, the world became embroiled in the Cold War under the influence of two super power - the United States and the USSR. The Soviet Union's creation of the Eastern Bloc nations in Europe led to fears that communism would continue to spread throughout the world. In the United States there was a fear that communists were infiltrating the government. Senator Joseph McCarthy further fanned this fear by announcing that he had "proof" that communists had infiltrated the State Department. 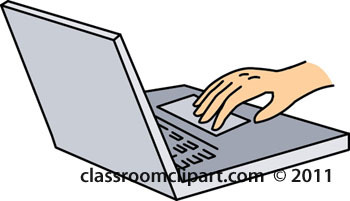 Read the following articles about McCarthyism and answer the questions below. 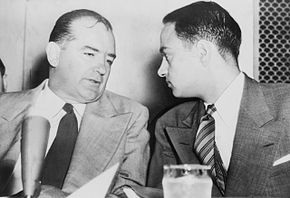 Read more about the background of the McCarthy hearings. 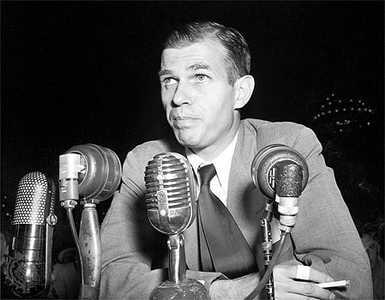 Alger Hiss was a state department official who was charged with being a Soviet Agent. He wad eventually charged and jailed for perjury in 1950. On February 9, 1950, Senator Joseph McCarthy gave a speech at Wheeling, West Virginia in which he claimed he possessed proof that more than 200 employees in the State Department were "card-carrying members of the Communist Party".Read more about this speech and its aftermath. In 1954, Joseph McCarthy started investigating members of the military to see if any of them had communist ties. This led to many accusations against active members. In the video below, Joseph Welch, Legal representative for the Army takes McCarthy to task for accusing a member of the Army's legal council.Transcript of the full exchange between Welch and McCarthy Please note: You will not be able to watch the video in your school account. You still can listen to the audio on this page and follow along with the transcript. Edward R. Murrow was a renowned journalist that had covered the Battle of Britain during World War II. When he returned to the United States he co-created a news magazine called "See it Now". Murrow's program was one of the few to publicly criticize the McCarthy hearings. The video below is an editorial commentary that he broadcast in 1954. You can find the questions for this assignment attached to the assignment in Google Classroom.